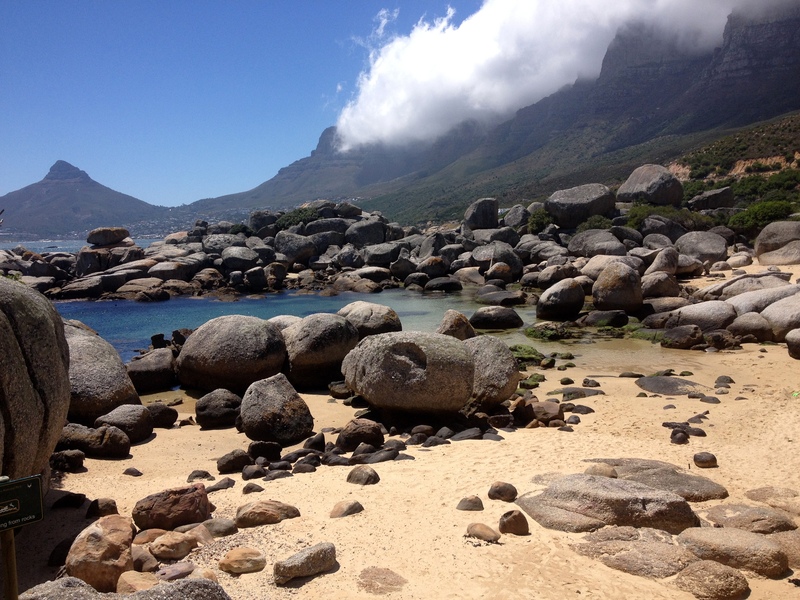 An idyllic spot where you can dream away and just enjoy your day in the sunshine: Oudekraal Beach. It’s one of these places that is just magical. 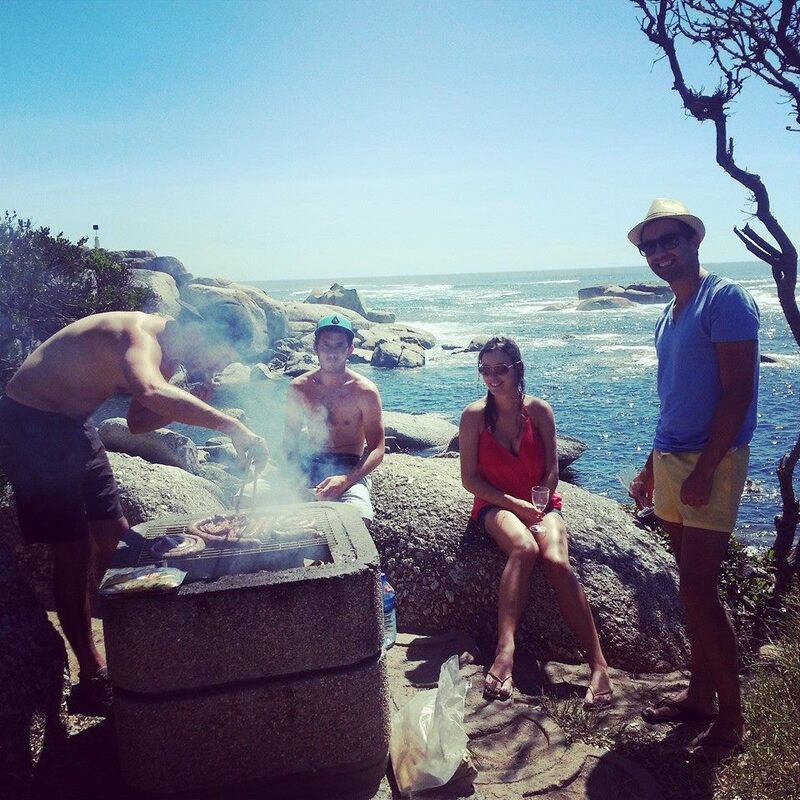 You can have a little braai, a bit of a swim or just lay down on the beach and enjoy the beautiful view around you. If you’re lucky, you can even have your own private beach for a little bit (I’ll tell you where to go now)! There you go! Lions Head in the background and the Twelve Apostles as well on the side. Oudekraal is especially popular amongst people who want to have a nice braai or make a potjie with their friends. There’s quite a big picknicking area where you can make your own delicious food and relax! 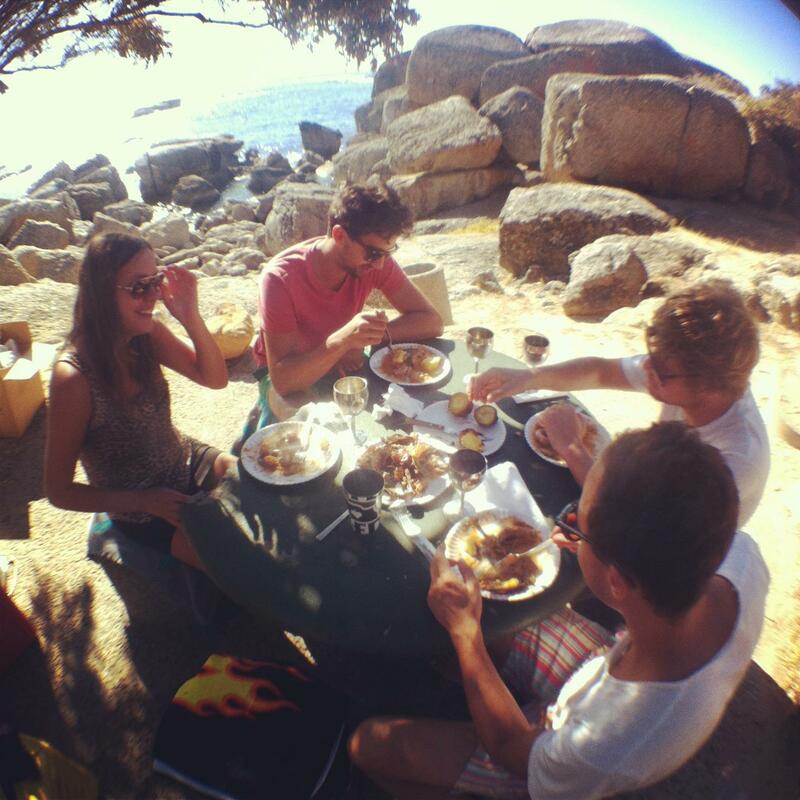 Also close to the water my friends made a seafood potjie! So yum. There’s just nothing like eating seafood right next to the ocean, to enjoy with good company! Usually on the warm and sunny days it’s quite busy in the picknick area, but if you’re early there’s a good chance you will find an awesome spot! Then, after you eat, it’s time to swim! That’s where the fun starts! From the picknick area you can go on to another small little beach. You can either climb over the rocks (when you’re facing the ocean, you have to go towards the left), or walk up again and turn right (when you’re with your back towards the ocean) & go down again on a small track. In the spring the water is still high enough so you can jump of a boulder, right into the water that can cool you off (so cold!). Just watch where you’re jumping. Also, if you think you can handle the cold water for longer than just a quick dip (or you bring a wetsuit), it’s great to do some snorkeling here! There’s so much pretty-ness to see here, even underwater! This picture is taken during the ‘colder’ months and as you can see, we had a little private beach. So amazing! After this he went back in the water and swam away. 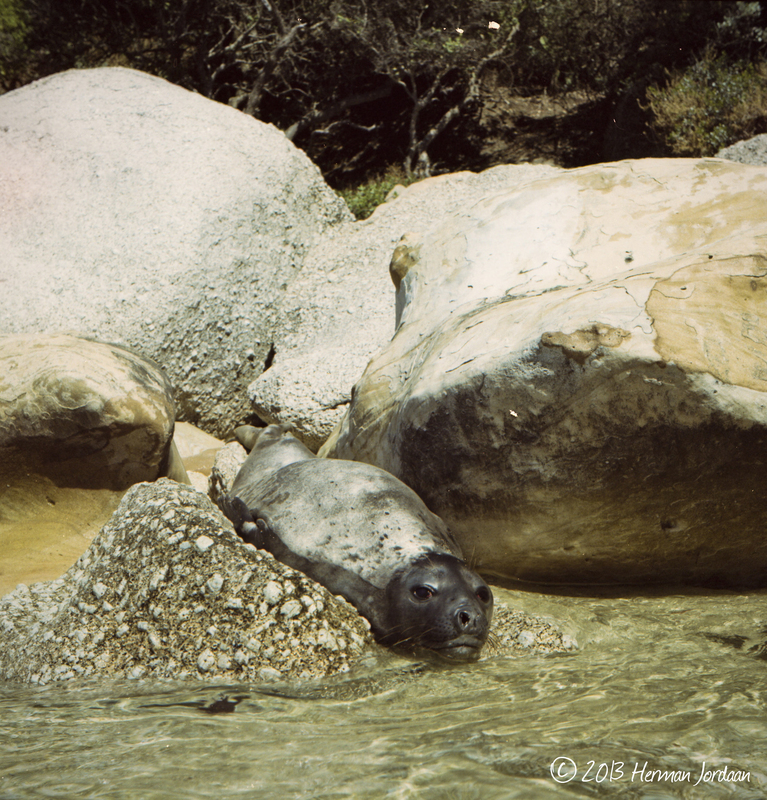 Can’t believe he was just laying on the beach, so close to us! 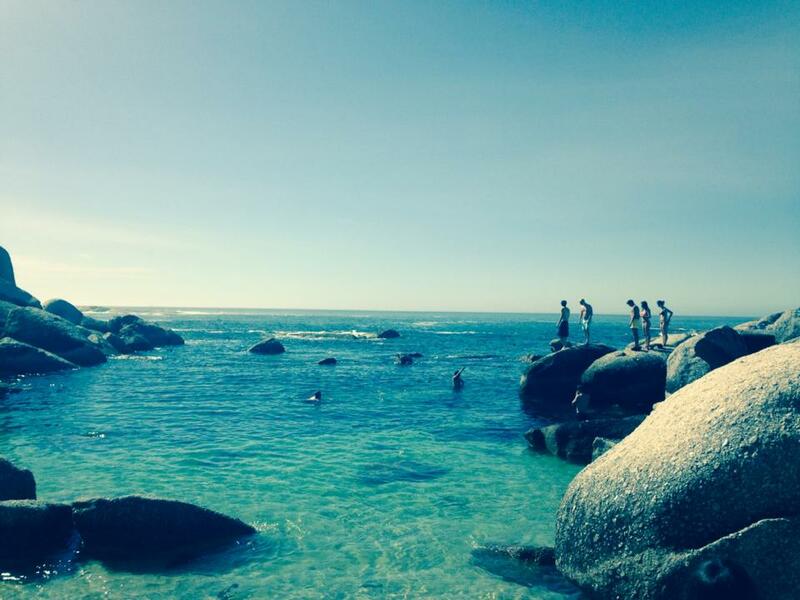 If you haven’t been to Oudekraal Beach yet, you definitely have to check it out! You pay a small entrance fee of R30 (R15 for children), but it is so worth it! Oudekraal beach is opened daily from 8am – 6pm. 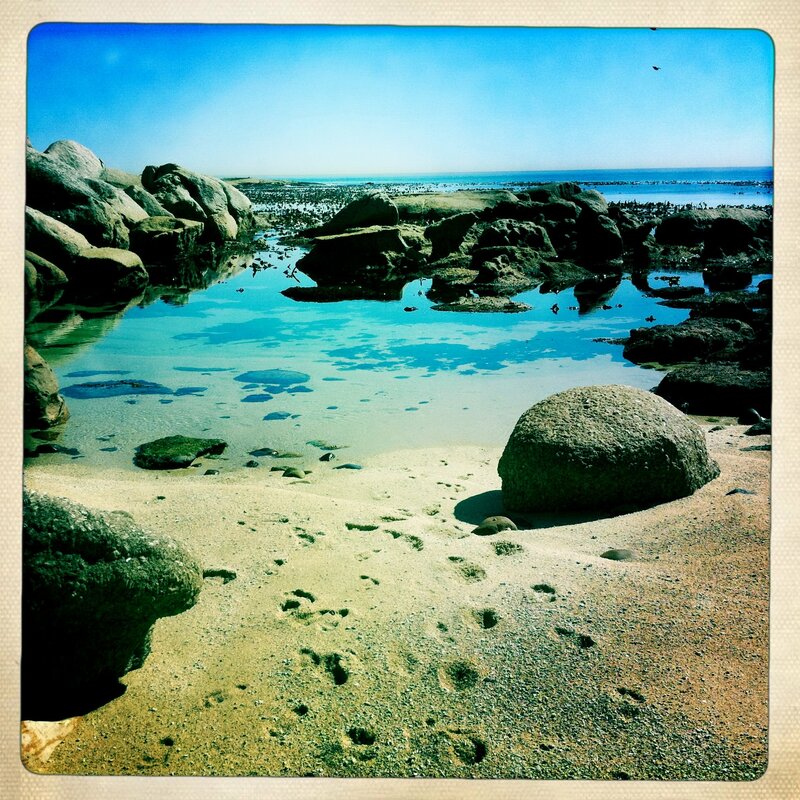 Here is a little map for you to find Oudekraal Beach: Oudekraal Beach Map. Zoom out a little, and you’ll see it’s next to Victoria Road towards Llandudno Beach, just a bit past Camps Bay and Bakoven Beach.